Legislation and difussion of the Cultural Heritage. New tolos and methos applied to the documentation and survey. Fishng and fish products in antiquitiy. Seafaring and maritime trade in antiquity. Maritime Cultural Landscape and navigation. Mediterranean Interactions: Easter – Wester. There are no other limitations regarding the subject and the period, but special consideration will be given to papers adopting an innovative theoretical and methodological approach. Please note: no papers dealing with unprovenanced artifacts will be accepted. 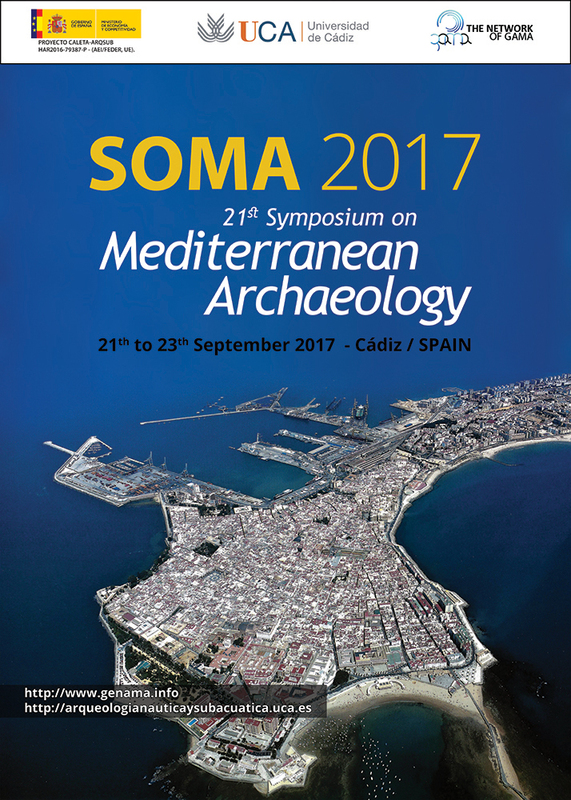 The conference language will be English in order to maintain the usual organization of SOMA conferences. No translation services will be available during the congress. All speakers are requested to observe a 20 minute limit for presented papers. Presentations will be given as Power Point (.ppt) presentations.